Wouldn’t it be nice to get something for nothing these days? At Parramatta Dental Clinic, we’re offering all patients a full dental checkup with no gap if you have private health insurance. We are a No Gap Dentist Located On Level 5 Of The Westfield Shopping Centre, Parramatta. Are there additional waiting times for the no gap treatment? No. 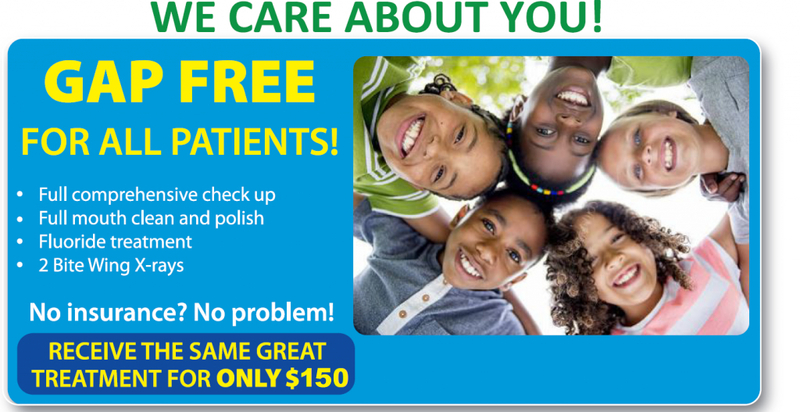 Our no gap service is the typical full checkup with no out-of-pocket expense for you and no additional waiting times. Are there any additional costs involved in making an appointment? There are no additional appointment costs involved. If you require further general or cosmetic treatments, we can provide a treatment plan, which may involve further costs. What does a no gap checkup involve, and how long does it take? Our full comprehensive checkups involve a professional clean and polish including a fluoride treatment and any small x-rays required. This treatment can take 30 minutes to one hour, depending on the nature of the treatment required. We use the latest pain-free techniques in our treatments, so you will be feeling fantastic when you visit our practice! Call or book online today.